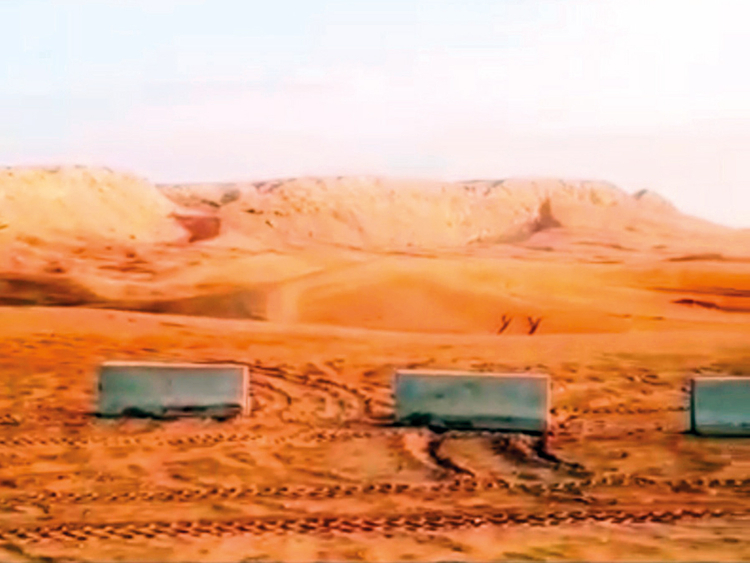 Sharjah: Sharjah authorities are erecting concrete barriers and flattening sand dunes in deserted areas in the emirate to combat reckless off-road driving and protect lives of motorists, said authorities on Wednesday. Barriers are going up in the desert to thwart irresponsible drivers from entering and speeding in areas that have long been popular gathering places for off-road enthusiasts. The preventive measures are based on the directives of His Highness Dr Shaikh Sultan Bin Mohammad Al Qasimi, Supreme Council Member and Ruler of Sharjah, after a number of deadly accidents. Beginning Thursday, police will also boost patrols in remote areas of the emirate to crackdown on reckless driving, police said. Police will take preventive measures, especially around tourist spots in the emirate. “Starting tomorrow (Thursday) Sharjah Police will impound modified vehicles and motorbikes and will restrict any kind of misconduct by young motorists, that would pose a threat to their lives and safety, as well as that of others. The department will also strictly monitor and eliminate any indecent behaviour, or that which may degrade the traditions and culture of the emirate,” said Brigadier Abdullah Mubarak Bin Amer, Deputy Commander-in-Chief of Sharjah Police. Authorities further plan to protect Al Faya and Al Badayer in the Central Region of Sharjah where off-road motorbikes, vehicles, and 4WD are wreaking havoc. Unlicensed drivers will be especially targeted. Brig Bin Amer held a meeting on Wednesday with directors of the main police departments to prepare the roll-out of the new measures. Police will intensify their presence and patrols will be deployed in the area around the clock, police said. They will also establish checkpoints at all entrances and exits and main roads leading to land areas, especially those that have witnessed some reckless practices. During the meeting, Brig Bin Amer also stressed the ban on the use of quad bikes in Al Faya, Al Badayer, the second of December Road, Al Fao area, and Al Rafda neighbourhood and nearby. “These measures have been taken as a result of a number of accidents which have taken place in the recent period and previous year, as a result of which many young people had sustained serious injuries that could have led to their deaths. Severe penalties and fines will be imposed on offenders. Vehicles and motorcycles misused to violate the law will be impounded permanently,” he said. “Sharjah Police called on land users, members of the public and families, to enjoy their time away from dangers and negative behaviours, and to follow instructions and guidelines for maintaining their safety and safety of others and to protect themselves and their children. Police urged community members to report any practices or behaviours that lead to disturb their comfort or threaten their security and safety,” said Brig Bin Amer.